The Democratic communications consultant who volunteered as the spokesperson for the family of Seth Rich, the slain Democratic National Committee staffer whose unsolved murder became the basis for conspiracy theories, filed a lawsuit on Monday against a media organization and three individuals who he alleges peddled false claims about him. The consultant, Brad Bauman, filed the lawsuit in US District Court for the District of Columbia. It is the latest in a string of legal action taken against publications and individuals who pushed unfounded claims and theories about Rich's death. The lawsuit seeks both monetary relief and court-ordered solutions, known as injunctive relief, asking for "false and defamatory materials to be removed from any websites over which defendants have control." It named as defendents Matt Couch, a fringe internet activist; America First Media, Couch's media company; Ed Butowsky, a wealthy Texas businessman; and Howard Gary Heavin, the co-founder of Curves International. Rich was fatally shot in Washington, DC, in July 2016. Police have said evidence indicates he was the victim of a botched robbery, but far-right activists and media organizations suggested his death was the result of something far more sinister. Without evidence, they peddled a conspiracy theory that said Rich leaked a trove of DNC emails to Wikileaks and was killed in retribution for the supposed leak. The theory was convenient for some on the right as they disputed allegations Russia hacked the DNC, something President Trump had raised doubts about. Bauman became a target of the far-right when he started to serve as spokesman for Rich family. The consultant, who said he never met Rich and no longer represents the family, told CNN on Monday he volunteered to handle media inquires for the family after he was asked to do so by two friends of Rich shortly after the DNC staffer was killed. But conspiracy theorists portrayed Bauman as a fixer forced upon the family by the DNC to cover up a supposed crime. In the lawsuit, Bauman says he was never hired nor paid by the DNC. The lawsuit cited Butowsky telling a media outlet that Joel Rich, the father of Seth Rich, told him Bauman was "assigned" to the Rich family; Couch characterizing Bauman as a "crisis fixer" hired by the DNC who monitored the email account of Seth Rich's father; and Heavin referring to Bauman on InfoWars as a "professional DNC hitman" who would "cover up media issues around the Democratic Party." "Although none of these assertions is true, they have negatively affected Brad's professional reputation and ability to attract new clients as, among other things, an on-the-records spokesperson," the lawsuit said, "and further limited the scope of responsibilities and on-the-record duties he has been able to continue or undertake for existing clients, as well as caused him severe emotional distress." The lawsuit said the assault amounted to a "sustained defamatory campaign" of which Bauman became the target of for helping the Rich family preserve their son's legacy. Butowsky told CNN by phone Monday night that he was "just repeating" what Joel Rich told him when he claimed Bauman had been "assigned" to the family as spokesperson, and questioned why a lawsuit filed by a "low-life PR guy" was worth covering. "Nobody else in the world would find it remotely interesting except you and CNN," Butowsky told this reporter. Reached by phone, Heavin told CNN he wanted to consult with his lawyer before making a public comment. Couch could not immediately be reached for comment. Bauman's lawsuit comes nearly two months after Aaron Rich, the brother of Seth Rich, filed a defamation lawsuit against Butowsky, Couch, America First Media, and The Washington Times for their alleged roles in peddling the conspiracy theory. Butowsky told CNN he wanted to know "how many more family members" of Seth Rich wanted to sue him, and Couch said he was "sued for investigating the truth." The Washington Times did not return requests for comment at the time. The parents of Seth Rich have also filed a lawsuit against Fox News and Butowsky, who told CNN at the time that the lawsuit "doesn't make any sense to me," and a Fox News spokesperson did not respond to a request for comment. 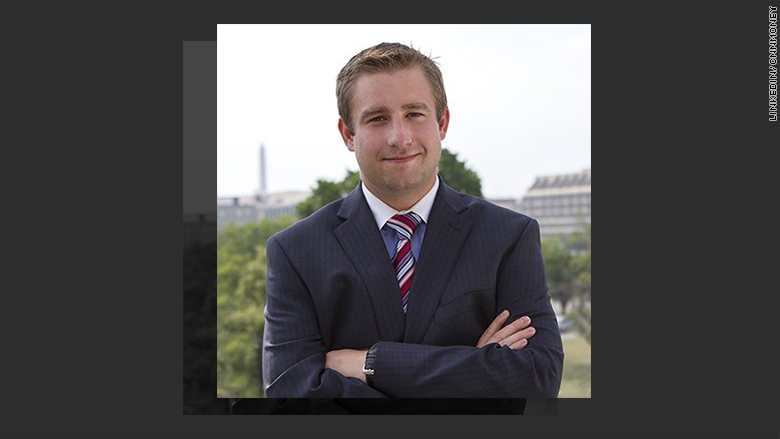 Previously, Rod Wheeler, a private investigator Butowsky had hired to investigate Seth Rich's death, sued Fox News and Butowsky, claiming the two concocted the conspiracy theory with oversight from the White House. Butowsky called that lawsuit "bulls**t" and Fox News has asked for a court to dismiss it. This month, the attorney representing Wheeler in that case asked to withdraw, citing a breakdown in the attorney-client relationship.